Online Forex broker InvestTechFX is now reaching further than ever before thanks to its very successful Introducing Brokers Program and White Label Partnerships. The online forex company is now offering IB and White Label partnerships assistance with building the required websites that in part ensure a fully functional relationship with InvestTechFX. With the increased popularity of InvestTechFX and its new affiliate partnership with Introducing Brokers (IB) and White Labels (WL) it has played an important role in the growth of the global brand awareness in their home markets. InvestTechFX is well established online forex trading firm and its IBs and White Label partners will be proud to be associated with the industry leading Forex company while benefiting from InvestTechFX’s strong reputation for low PIP spreads, product innovations, customer focus and state-of-the-art technology to name a few. IB’s and WL’s alike can present an industry leading product that is highly competitive and changes the way the market demands. All of this can be provided with individual support in the form of their own account manager, 24 hours a day, 5 days a week along with website start-up and maintenance package that we offer. These IB’s and White Label affiliations reach markets where InvestTechFX has limited access to due to language and cultural barriers; this is of great advantage of the IB or the White Label that is of Asian decent or Middle Eastern markets to fully introduce these competitive products to their clients without being directly in competition with InvestTechFX. In order for InvestTechFX and various IB’s and WL’s to capitalize on this market InvestTechFX is now building websites for start ups and established IB’s and White Labels to properly link all clients to the powerful MT4 platform empowered by InvestTechFX as well as the excellent customer and technical support back office available 24 hours a day, 7 days a week during financial markets opening to closing hours. 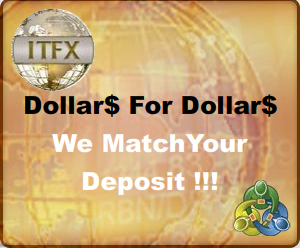 InvestTechFX assures their Forex affiliates with all the latest marketing tools around, website start-up and back office assistance, and not to mention the widely used MT4 currency trading platform. Whether IB and WL websites bring in experts or novices into the world currencies exchange, InvestTechFX’s wide variety of promotional creativity is sure to boost all affiliate program commissions to all Forex service partners on both sides of the partnership. Like all respected Forex brokerages within the community, ITFX’s work ethics and extraordinary level of customer service; InvestTechFX offers its IB and White Label partner’s clear incentives that will keep the partners competitive at every level. One recognized perk of partnering with InvestTechFX is the excellent managed account facilities and increased level of marketing and promotional assistance offered by the broker, both online and offline, including dedicated customized IB and White Label tracking of all referred client accounts. InvestTechFX is a No Dealing Desk (NDD) and Straight Through Processing (STP) Forex company offering an industry leading 0.5 PIP on all 6 majors while trading with the MT4 platform with optional ECN. InvestTechFX offers traders a full suite of platforms and products including; MT4, Desktop, Web and Mobile Applications. Our Meta Trader 4 enables the ability to trade commodities such as Gold, Silver and Oil as well as all six major currencies on a 0.5 PIP to variable spreads on mini and standard accounts with ECN options. InvestTechFX software solutions deals with the Forex Market offering specialized Money Manager, IB and White Label services as well as many benefits including tight pip fixed spreads, leverage ranging from 1:100 to 1:500 to permit the use of scalping, hedging options and Expert Advisors or robot dealers.